Hereford is a cathedral city, civil parish and county town of Herefordshire, England. It lies on the River Wye, approximately 16 miles east of the border with Wales, 24 miles southwest of Worcester, and 23 miles northwest of Gloucester. ATK Removals provides Hereford house movers with a first class service, ATK Removals are RHA members and operate to an exceptionally high standard. 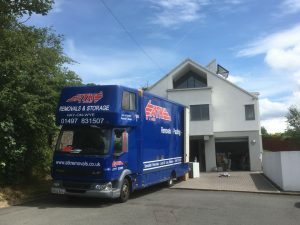 ATK removals are situated onlya short distance outside Hereford with a purpose built Storage warehouse and a fleet of specially designed removal vehicles. ATK removals also carries out regular removals within Leominster, Bromyard, Ross on Wye, Ledbury, Knighton, Kingdon, Almeley, Eardisley, Monmouth, Worcester, Chepstow and Shropshire.